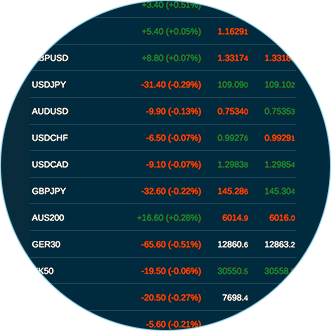 The most basic description of forex trading can be described as simply – buying one currency and selling another. Similarly to the stock market, you buy a currency at a low point, watch the market and then sell it at a high. Over time you’ll develop the skill needed to make educated predictions of where a market is headed and that will help you make better choices and reap bigger rewards. One of the first and most important things to remember when forex trading is that all prices and values are presented as pairs. This is because one currency’s value is only able to be priced when compared to another. An example is GBP/USD, which will be showing the value of the Pound against the USD. The structure of the pricing, or quote, is listed with the base currency first and with a “/“ in between which divides the currencies. The second currency is the counter currency, or quote currency. When GBP/USD is concerned, the Pound is the base currency and the US dollar is the counter currency. When you’re ready to purchase or trade your currency for the counter currency then you’ll need to look at the exchange rate. This will show you how much the counter currency costs in your base currency. As of this writing, it costs $1.41US to purchase £1 and £0.71 to purchase $1US. When you’re ready to sell your invested currency, then the exchange rate tells you what you will earn for each unit of your base currency. So, with the above pricing in mind, for every British pound you sell, you will gain back $1.41US. A few simple terms you will also need to know, are long and short. If you’ve chosen to buy a currency, and are waiting for it to grow in value before you sell it back, this is what’s called “going long” or simply taking a long position. Basically, long means to buy. On the other hand, if you’re looking to sell your base currency and buy a quote currency, you’ll want to wait for the base currency to fall so that it’s cheaper to buy back at a lower price. This is called “going short” or taking a short position. Basically, short means to sell. Now, the spread is the difference in price between the ask and the bid price. So if your bid price is 1.34568 and the ask price is 1.34588 your spread will be the difference between those two prices. If you’re selling your currency in the example above, you’ll earn back 1.34568 and if you’re buying more, it will cost 1.34588. Notice that the selling price is lower than the buy price in this example, that means that you will have lost money if you chose to sell at this point. To combat this you should wait until the selling price is higher than the price you bid for it. One aspect of trading that new traders and professional ones need to constantly refine, is deciding when to sell and buy currencies. This is because the market is totally unpredictable and no one really knows which way the market is going to go. 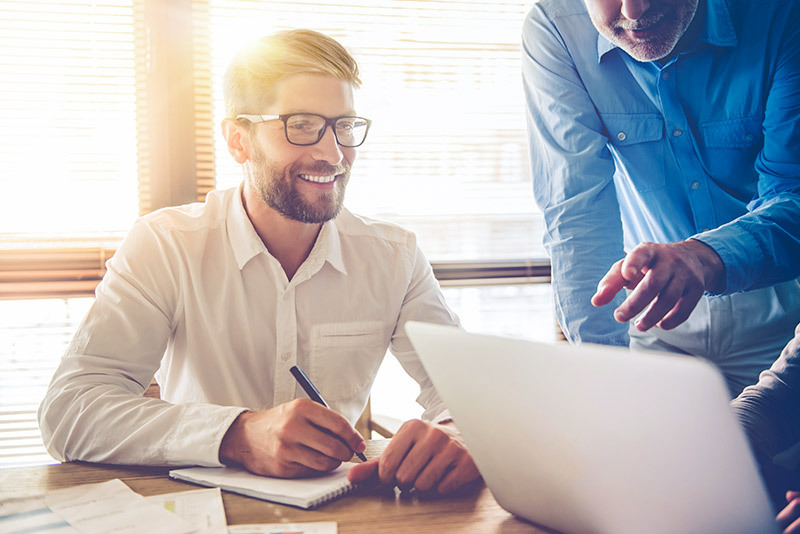 But over time, and with a lot of research and analysis, you’ll be able to make some educated decisions that greatly help you decide when to buy and sell. A few things you can look at to determine whether a currency is at a high or low point is the health of its home economy as well as its’ price history timelines. Also if your base currency’s home country is doing economically better than the country you’re investing in, then you’ll possibly be looking at losses. On top of economic strength, supply and demand still have one of the biggest sways in currency pricing, which will affect trader decisions in regards to long-term and short-term investing. When currencies are in high demand their price goes up, though this demand is typically short-lived, making demand-based trading a better option for short-term traders. Longer term traders should be focusing on economic growth and future expectations for a country’s economy. This is because major economic advancements don’t happen overnight, and can normally take years, but these offer higher returns. In order to make the best trading decisions on when to buy or sell currencies, you should always make sure that you do as much research as possible prior to selling or buying. This should cover things like political events and more. 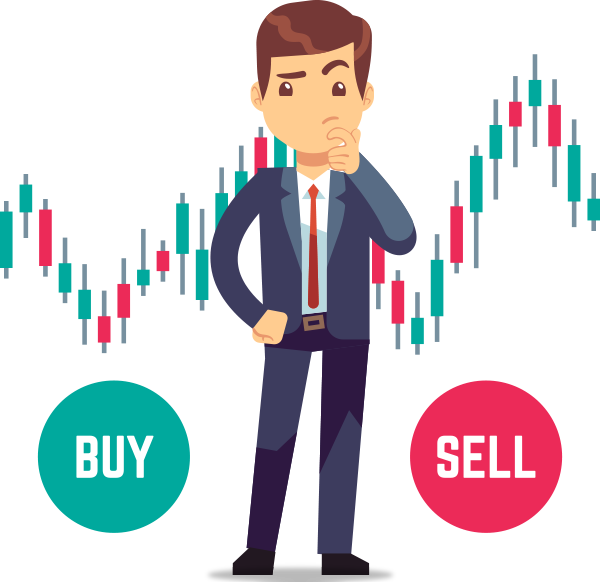 The most simple trading basic regarding buying and selling is; if you believe your base currency is going to appreciate against the counter currency, then you should buy. Though, if you believe that your base currency is going to depreciate against the counter currency, you should sell. Another simple trading basic is making entirely sure you know the background of why a currency price may fluctuate. This is a basic requirement as otherwise you could be going in ‘blind’ and having no real understanding of when to buy or sell. A few topics below are some things you’ll need to look towards in order to make educated decisions on whether a currency will grow or fall in value. One of the most simple ways to describe a strong economy is by saying that; a strong economy is one that is experiencing a steady flow of capital from residents and businesses. This would be a stable or growing economy, and therefore most likely home to a state and growing currency, making trading it a safe and smart investment. 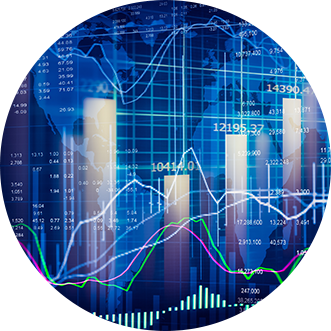 Traders can find information on economic stability in press releases as well as reports released by statistics and research companies. These reports are a godsend for investors are they are able to outline the future expectations of a country’s economy. 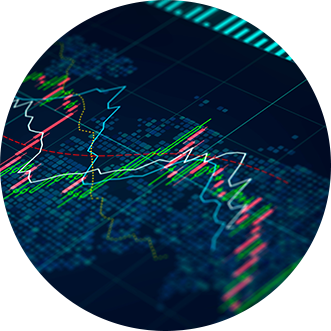 Investors who have a good understanding of a country’s economic outlook are far more likely to make more profitable investments, so beginner traders should make sure they are well aware of national economic releases. A country’s GDP is also a major factor that forex traders should look into before making any investments in a currency. The GDP, or Gross Domestic Product, is the total value of a country’s goods and services within a year. If this number is slowing or going in reverse, it’s a major red flag for investors, but can also present a buying opportunity if a currency falls far enough before rising again. Finally, one of the more significant events that traders need to stay informed of is political events and controversies regarding trade, tax and interest rates. New leaders who are either elected or running, have the ability to make major changes to a country’s economy and in turn, drastically effect currency pricing. A good example of what political events can do to a currency is Brexit, and its massive hit to the GBP in 2016. Although this is a bit of a worst case scenario, it shows that traders need to stay well aware of political events when looking to invest in currencies. 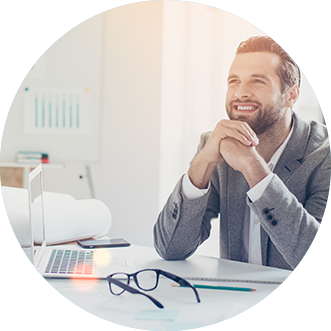 Once you’ve completed all your research prior to trading and when you feel as though you’re ready to start trading competently, you can then choose an online broker to set up an account with. 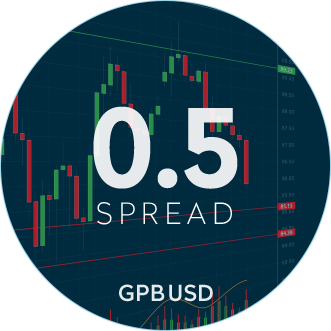 One of the more effective perks of forex trading is that it’s almost entirely done online now, so traders will simply need to register for an account, deposit the minimum required funds and begin trading. Typically broker website will have a minimum of a few thousand dollars, though if you’re not able to come up with a sum that large on your own, they often provide lower margins for their users to give them a head start. Keep in mind that every broker will have different terms, minimum deposits, liquidity and other aspects, so be sure to check up on as much background information as you can prior to trading. A basic forex trading term you are going to come across is leverage. So, what is leverage? Leverage can be described as a loan that is given to a trader by a broker in order to trade larger amounts or to invest more in a currency. In the US the National Future Association capped leverage at 50:1. That means that if a trader has $1,000 in their account, the broker is then able to loan, or leverage, up to $50,000 so that the trader can then trade $51,000. Although leverage may seem like a great opportunity, it is highly recommended that traders don’t utilise all of the allowed leverage as it won’t just increase profits, but it also has the potential to majorly increase losses and put traders at risk of being deep in debt. The margin is the backbone of all trading. It’s the minimum requirement that a trader must have in their account in order to initiate a trade. As one of the most simple trading basics, a trader should understand that if they don’t have enough margin, then they cannot open a trade. An example of this is as follows. A broker offers leverage at 50:1 and a trader has $2,000 of margin in their account. The trader then leverages $100,000 and makes a trade. If the value of the margin slips below $2,000 due to a fall in price, then the leverage requirements are no longer met and the trader must find a way to meet the margin requirements once more, or the position will be closed. 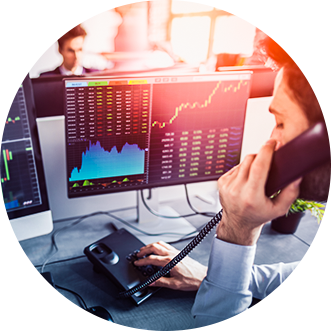 As a result of the worlds switch to online trading and technology ubiquity, forex trading has become more accessible than it has ever been, and is, therefore, allowing almost everyone to enter the trading businesses. No matter what your investment size is, your experience and your trading goals you should always have a few things on the top of your mind — risk management, a knowledge of current events, the ability to pace yourself and a fairly deep understanding of how forex trading works. You shouldn’t invest more than you can afford to lose, and you certainly should use 100% of the leverage available to you especially if you’re a beginner. 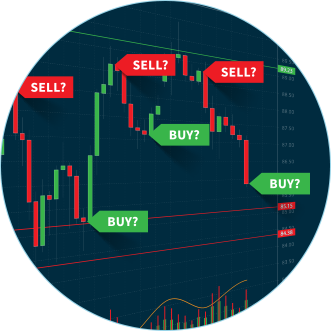 Finally, your first steps to learning the ropes and understanding the simple trading basics are to make a checklist of things you’ll need to know about a currency before you invest in it. Where is it going? Is it like to appreciate or depreciate? Is your base economy looking to outgrow your quote economy? And many more. Take the tips above and use those to develop your list, and check out some FAQ pages on your broker’s website.